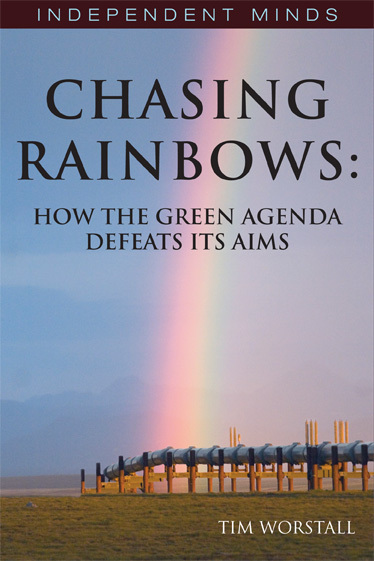 Chasing Rainbows looks at the commonly held beliefs about what we should do to avoid, curtail or adapt to global warming and compares them to what are, in reality, the sensible actions. This is not an argument about the science: Worstall leaves that entirely to others to debate. Rather, he asks what guides and indications we can draw from the economics already embedded in such pronouncements as the IPCC reports and the Stern Review. The answers will shock some: globalisation is part of the cure for climate change; recycling of some things certainly saves resources but of domestic waste actually squanders them; creating 'green jobs' is not a benefit but a cost of our actions. One of the author's most significant conclusions is that we don't need to limit economic growth, quite the opposite, it is part of the solution, and the finite nature of the physical world is not a binding limit upon such growth. Tim Worstall is asking the right questions, and often producing the right answers. Jaw-droppingly rude he may be, but he's smart, and this book is quite an education. Tim Harford, author of The Undercover Economist. Tim Worstall - Tim Worstall is both a businessman working in the field of renewable energy and a freelance writer. He has been published in The Times, Daily Telegraph, Daily Express, The Register and numerous online sites. He is a Fellow at the Adam Smith Institute.